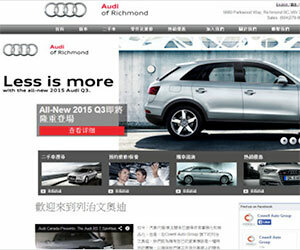 We Integrate Your Chinese Marketing Strategy Into Your Web Presence. When running Chinese language digital marketing and advertising campaigns, it is very important to direct customers to Chinese language pages on your website. The user experience needs to be respected: the content of the advertising must match the destination URL. 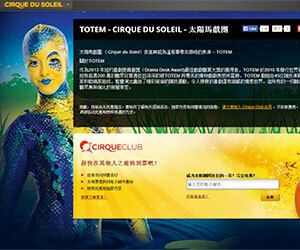 You can’t take users from a Chinese-language ad to an English-language website. If you’re looking to develop a Chinese-language version of your website, Sheng Li offers different options for your needs. Landing pages will often have a lead generation form or quick contact form located above the fold of the page in order to capture potential customer information quickly and efficiently. A prominent phone number can also be used to direct people to call a specific number where someone who speaks Mandarin and/or Cantonese. Click-to-call and other call tracking can be integrated to measure conversions, as well as form technology with Chinese form labels and CRM integration. Remarketing and custom analytics are often implemented to help maximize ROI on digital marketing spend. In some campaigns, where there is a lot of information to display or multiple objectives, it may make more sense to develop a microsite to showcase all of the information. In these instances, a microsite will be developed that is customized to meet the objectives of the campaign. A four- or five-page Chinese-language microsite should be budgeted at $5,000 USD and greater depending on the level of complexity, volume of content, custom images, video, or technology integration. If you have a website development team in house, we will work with them and provide consulting services based on our understanding of the Chinese audience. If you have determined that it is appropriate to make a significant investment into the Chinese marketplace online, and need to launch a full-scale Chinese website development project, Sheng Li can help. Depending on the complexity of the project, we may need to bring in our trusted partners, especially if eCommerce integration is required, or if you are looking to set up product shipping and fulfillment integrated with Taobao Tmall, JD.com, or Amazon China. Regardless of your needs, get in touch today and we’ll start the process of identifying the solutions best suited to your business.